Emma Goldman was a noted anarchist lecturer, an agitator for free speech and champion of the arts. 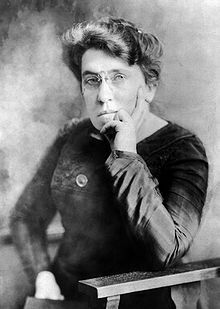 She was a leading feminist and pioneer advocate of birth control, an untiring supporter of the Catalonian revolutionists during the Spanish Civil War. Goldman was born in Russia, surrounded by oppression and injustice. 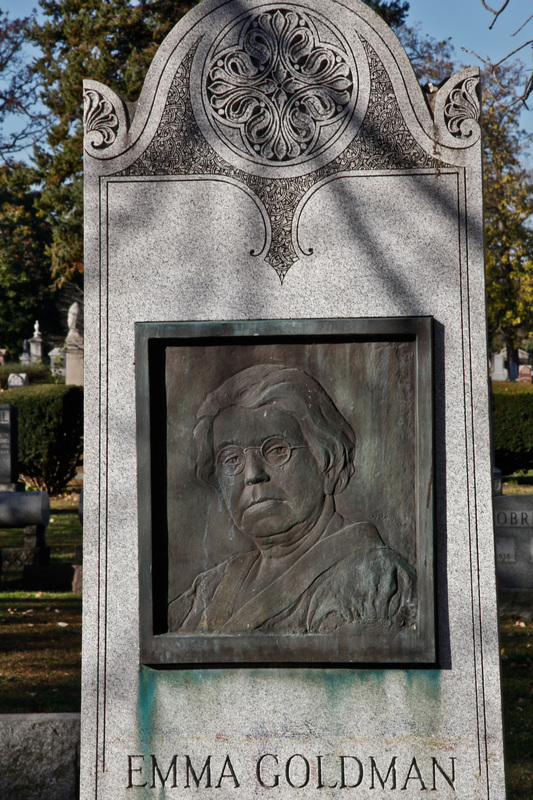 Emigrated to Rochester, New York, she was eighteen years old when Parsons, Spies, Fischer and Engel were hanged. 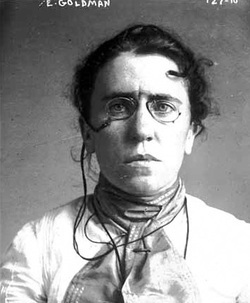 The hanging only deepened her hatred of political repression, and she became an outspoken anarchist. Goldman was deported in 1919, and was allowed to return to the U.S. only once in 1935, when hundreds of people had to be turned away from a dinner in her honor at the Waldorf-Astoria Hotel in New York. J. Edgar Hoover called Goldman and one of her early lovers, Alexander Berkman, ―beyond doubt two of the most dangerous anarchists in the country‖. She died in Canada in 1940. Although she expressed disillusionment with socialism in the Soviet Union she remained a radical to the end of her life. In accordance with her last request, her remains were returned to the U.S. to rest beside the Haymarket Martyrs who had inspired her life. At Emma‘s burial, Roger Baldwin came to give the eulogy. Emma‘s lecture to Roger when he was a conservative Harvard graduate had led him to found the American Civil Liberties Union. Her autobiography, My Life, described her remarkable life as an anarchist and revolutionary. 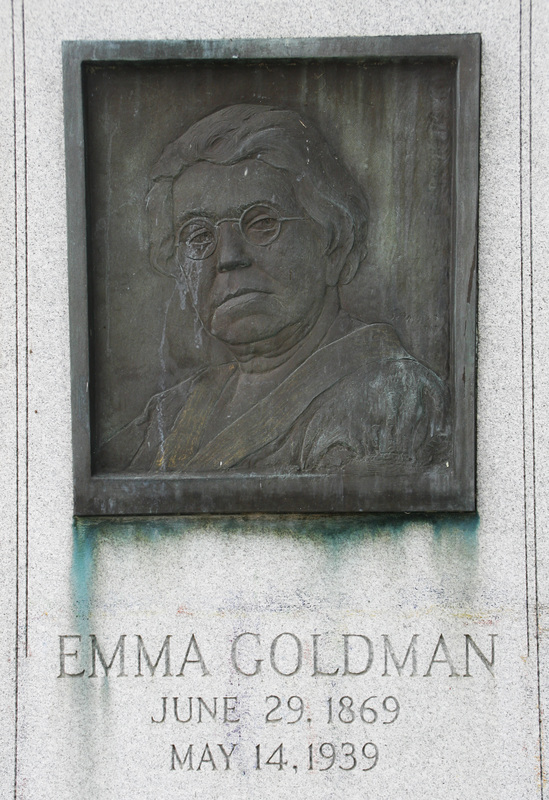 The bronze plaque on the gravestone of Emma Goldman was produced by the sculptor Jo Davidson. The stonecutter made a mistake on the year of her death; it was May 14, 1940, not 1939.